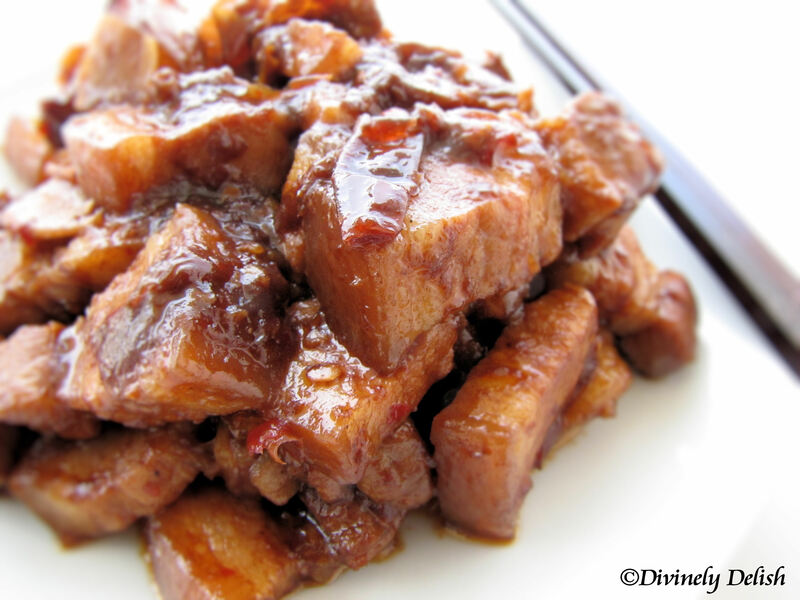 Pork belly has traditionally been part of the cuisines of many countries in Asia and Europe. But in recent years, it has been gaining popularity elsewhere. I’m not just talking about bacon, which can be prepared from pork belly, but nowadays, you’ll see pork belly – uncured and unsmoked – popping up on the dinner menus of some of the trendiest restaurants in North America. It seems to have become a favourite of professional chefs. 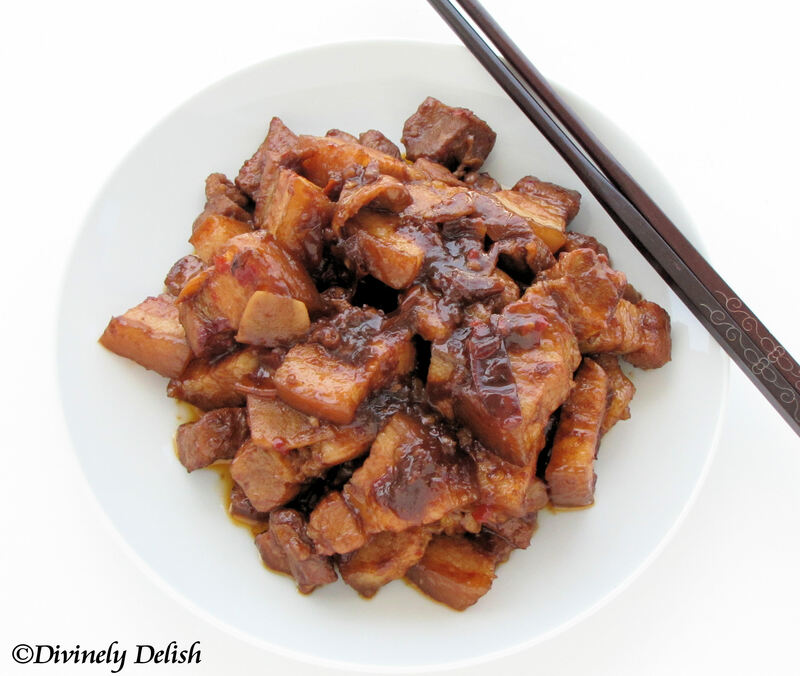 Pork belly is definitely very versatile when it comes to cooking. You don’t have to worry about the meat becoming too tough or dry. It can be boiled, braised, fried or roasted. The latter is probably most people’s favourite (think layers of tender meat and fat with crispy, crackly skin, oozing with juicy flavours…Mmm). And how can I ever forget the best cracklins that I had in Louisiana?! I have yet to try roasting or deep frying pork belly. But I also love braised pork belly. I came across this easy recipe and couldn’t resist trying it out. It just involves blanching the meat and then stir frying. It was so good that I made this again soon after! 1. Blanch pork belly in boiling water until cooked. Drain and set aside. 2. Heat oil in a wok, saute ginger and garlic until fragrant. 3. Add chillies and pork belly and stir fry. 4. Add hoisin sauce, bean paste, five spice powder and water. Mix well and bring to a boil. 5. Lower the heat and continue to simmer until the sauce has thickened. Serve with rice.